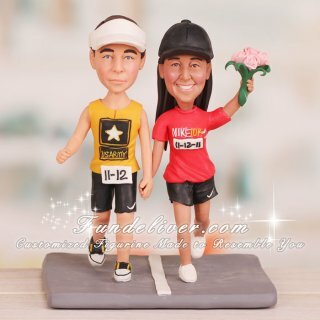 This is a completely customized runner bride and groom running theme wedding cake topper ordered by one of our customers. 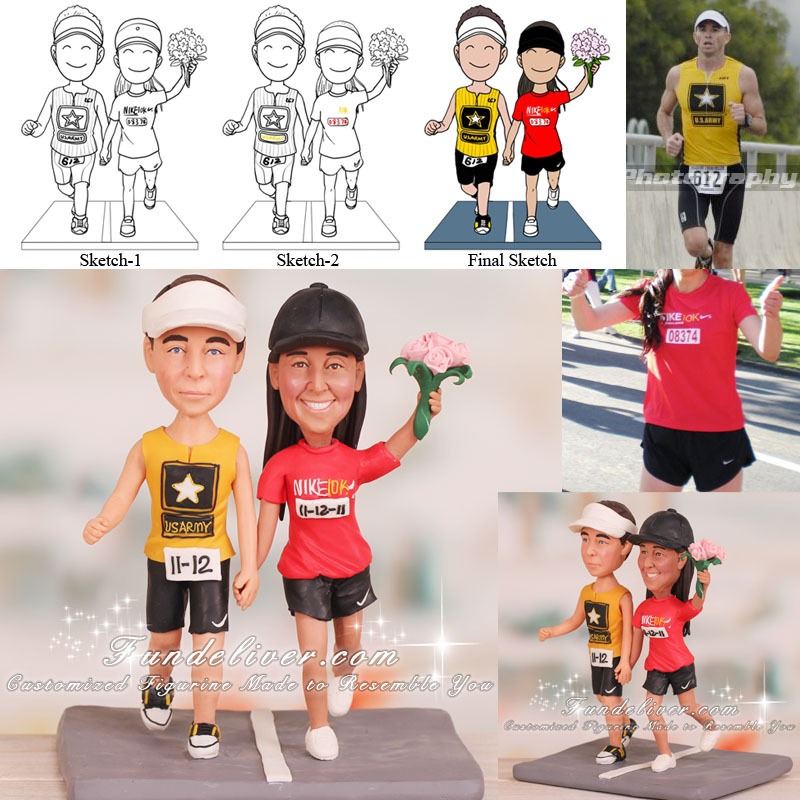 They would like the bride and groom figurines to be wearing their running outfits and running shoes, holding hands running on a concrete road. The groom is wearing a white visor, yellow sport shirt and black shorts. The bride is wearing a black cap, red sport shirt and black shorts with a little Nike swoosh on the lower leg of her shorts. They would like to change the numbers on the shirts to 11-12 for the groom and 11-12-11 for the bride, since their wedding is 11-12-11, they wanted the numbers to reflect their wedding date.